Twin sisters The Veronicas release their eagerly awaited self-titled third album on 16th March, through RCA, preceded by the single 'IF YOU LOVE SOMEONE', released 1st March. This follows last year's single 'YOU RUIN ME' which hit #8 in the UK charts in November. THE VERONICAS,andsingle 'IF YOU LOVE SOMEONE', have both gone gold in the twin sisters' native Australia, while 'You Ruin Me' has hit triple platinum status. Written and recorded in Los Angeles, Nashville, New York and Sydney, The Veronicas collaborated with some of their most respected and admired producers, songwriters and artists, including, Nellee Hooper (The Smashing Pumpkins, U2, Bjork), Toby Gad (John Legend, Beyonce, One Direction), Billy Corgan,Emeli Sandé, and David Musumeci and Anthony Egizii of DNA Songs (Jessica Mauboy, Nathaniel, Justice Crew). 'You Ruin Me' marked an incredible return to the forefront for The Veronicas, debuting at #1 on the ARIA Singles Chart, holding the position for three consecutive weeks and achieving Double Platinum sales. 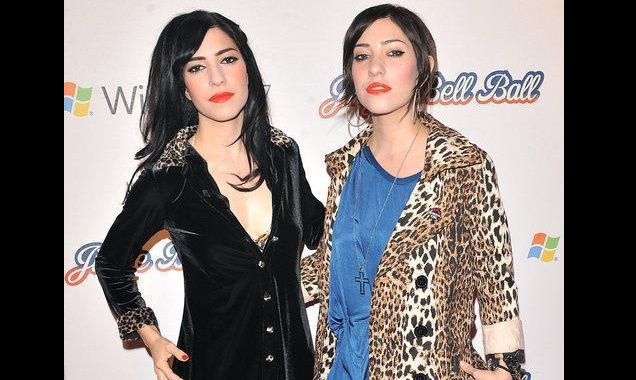 Since releasing their first single '4EVER' in 2005, The Veronicas have proven themselves to be international trailblazers for Australian music, attracting global attention and fans around the world. The Veronicas have cemented themselves as a force to be reckoned with, having sold over 3 million albums and singles worldwide. Their chart-topping single 'UNTOUCHED' broke into the top 20 of the Billboard Hot 100, making The Veronicas the first Australian act to achieve such a feat since Kylie Minogue's 'Can't Get You Out of My Head' in 2001. The Veronicas have spent the last two years travelling the world, writing and recording their self-titled third album. This will be their first album released since the Double Platinum HOOK ME UP in 2007 and their first with Sony Music Entertainment.